Vancouver’s own USL team, Whitecaps FC 2, returns to UBC and in Langley for their 2017 season. Their matches are fun excursions for any fan or family, with future stars battling it out on the pitch while fans enjoy a festival atmosphere in the stands. Theme days this year include the popular Bark at the ‘Bird and a Canada 150 celebration. 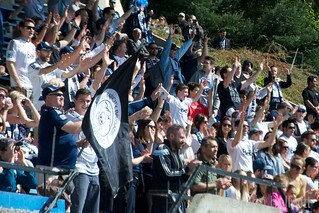 WFC2 host their first home match of the season, one of six to be played at Langley’s McLeod Athletic Park. The ‘Caps face off against Cascadia rivals Seattle Sounders FC 2. The first of 10 matches for WFC2 at UBC Thunderbird Stadium as the young ‘Caps take on MLS expansion hopefuls San Antonio FC, owned by the same group as the NBA’s San Antonio Spurs. One of the most popular events of the season returns as fans are welcomed to bring their dogs to Thunderbird Stadium when WFC2 face another MLS expansion hopeful in Sacramento Republic FC. Treat your mom on her special day and bring her out to enjoy good footy, food trucks, drinks, and sunshine. Moms can go to this match for free, with the purchase of one or more tickets for the rest of the family. The ‘Caps face a USL playoff rematch against Colorado Springs Switchbacks FC, whom they defeated 2-1 last year on their way to the Western Conference Final. Fans in Langley will also have the chance to bring their dogs to the match as WFC2 host Real Monarchs SLC at McLeod Athletic Park. A chance to get together with members of the greater UBC community with a special pre-match BBQ hosted at the Wesbrook Community Centre. Celebrate Canada’s 150th anniversary with Whitecaps FC as the ‘Caps play cross-border foes Seattle Sounders FC 2 at Langley’s McLeod Athletic Park. Take the day off work and enjoy some sun with WFC2 as they face Swope Park Rangers at Thunderbird Stadium in a rematch of last year’s USL Western Conference Final. Bring your kids out to experience a variety of activities in a fun environment to claim a special sports day ribbon. On the field, WFC2 face USL expansion side Reno 1868 FC. Another chance to get out and enjoy a mid-day match at Thunderbird Stadium – perfect for summer groups and kids camps. WFC2 host Rio Grande Valley FC for the first time. WFC2 face a team from a galaxy far, far away. LA, in fact. The ‘Caps take on LA Galaxy II at McLeod Athletic Park in the return of the popular Star Wars theme. 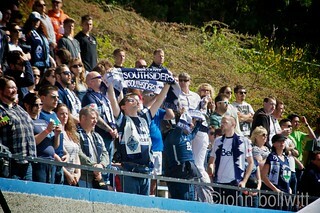 School is back in session, but that doesn’t mean you can’t still get out to watch WFC2 in action. With the regular season in its final stages, the ‘Caps face Tulsa Roughnecks FC. Leading into Health and Wellness Week at UBC, WFC2 encourage fans run, bike, or hike to the match as they face Orange County SC. Enjoy a taste of German culture as the ‘Caps celebrate Oktoberfest at Thunderbird Stadium. 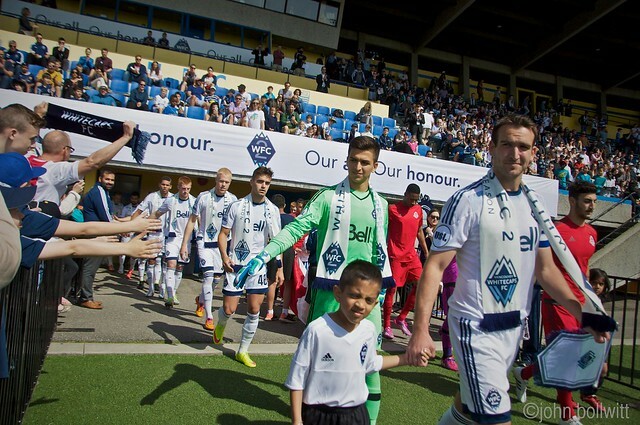 On the field, WFC2 face MLS expansion candidates Phoenix Rising FC featuring former Mexican national team striker Omar Bravo and former English national team player Shaun Wright-Phillips. Another chance to celebrate German culture, this time at McLeod Athletic Park. The ‘Caps face rivals Portland Timbers 2 as the end of the regular season fast approaches. WFC2 wrap-up the regular season against Orange County SC. Come out and have an opportunity to win a jersey off the back of a player and other great prizes. Single match tickets to both home venues at McLeod Athletic Park and UBC Thunderbird Stadium are only $16 all in and are available for purchase online via Ticketmaster. 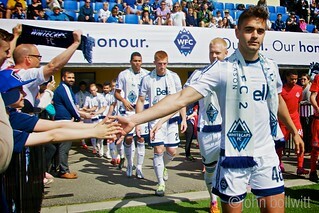 Again this year, all Whitecaps FC MLS Season Ticket Members receive three WFC2 ticket vouchers in their account. Members will be sent an e-mail with instructions on how to redeem. 2017 WFC2 Memberships are also still available. 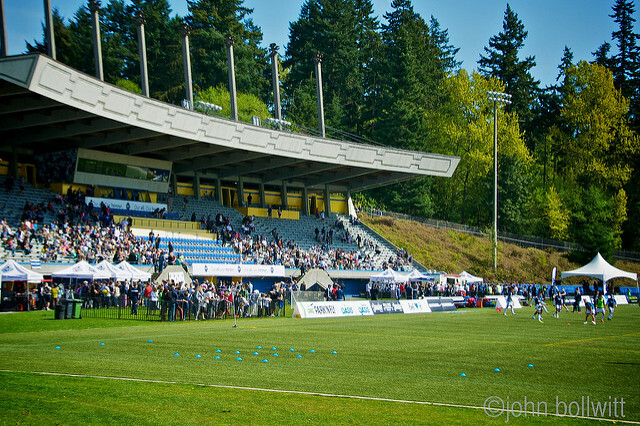 Fans may opt for the 10-match UBC Thunderbird Stadium membership or the six-match McLeod Athletic Park membership. Seven-ticket flex packs are also available that may be used for either home venue. 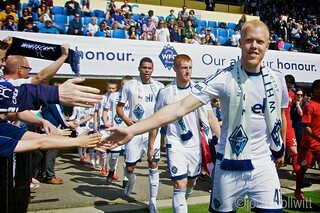 Follow Whitecaps FC 2 on Facebook and Twitter for more information.